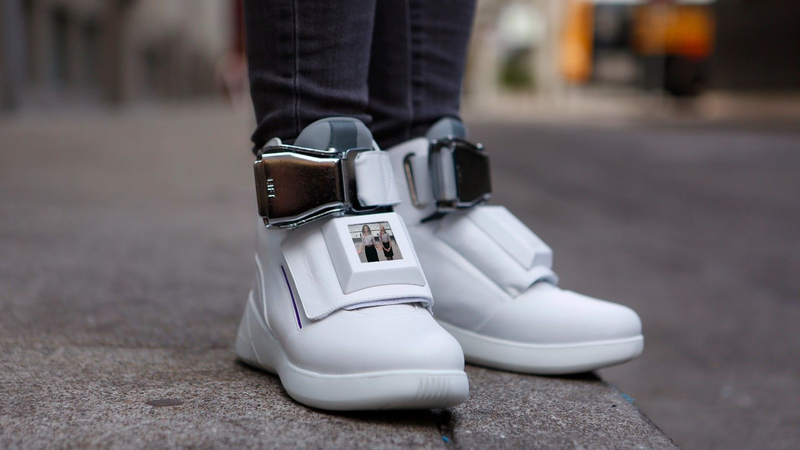 Most of us can't afford to fly first class, but then if you were rocking a pair of these sneakers, you'd never need to. Introducing Virgin's First Class shoes, a lavish experience for your feet that push at - nay completely uproot - the boundaries of tasteful fashion. Do they self-lace like Nike's? Nope, they go one better - they play movies. And charge your phone. And double as a Wi-Fi hotspot. And feature mood lighting to give you the authentic high-flyer experience. If the seatbelt buckle hadn't already given it away, it's all a bit of a joke from Virgin. Only one pair have been made, and to snag them you'll have to outbid everybody else on eBay. At a current price of $1,426.00, you'll probably be spending more than the price of a first class ticket to get them, but it's all for a good cause, with the money going to Souls4Sols charity. At last, you'll be able to watch Das Boot on your das boots.